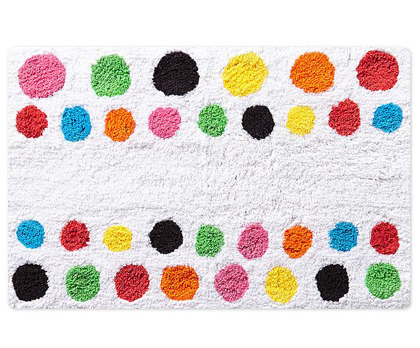 From French Bull, the Multi Dot Bath Rug features brightly colored dots on white ground. 2 x 3 ft. $28. Buy here.